Chairman H.S. Hsu of Taiwan's Chinese National Federation of Industries (CNFI) suggests Taiwan and mainland China to co-develop an “Industry 4.0” partnership framework so that industries on the two sides of the Taiwan Strait can more precisely grasp future trends of industry and minimize redundancy that occurs with repeated investment of resources into the same areas. His proposal has gained support from the former minister of mainland China's Ministry of Industry and Information Technology, Wang Xudong, who will hold a regular meeting in Nanjing in November this year as the convener of an information-technology and household appliance industry committee as part of China's Cross-Strait CEO Summit. Hsu is Wang's counterpart on Taiwan. Taiwan's former Vice President, Vincent Siew, the chairman of the Cross-Strait CEO Summit on Taiwan, will table the suggestion at the November summit. Hsu points out that Taiwan is pushing forward the “Productivity 4.0” project while the mainland advances its “Made in China 2025” program, both of which aim to boost productivity by using Big Data and cloud technologies. Speaking in broad strokes, he notes that although industries on the two sides of the Taiwan Strait are becoming more competitive than complementary in the process of transformation, the two sides still have room for cooperation to strengthen their global presence given Taiwan's impressive nimbleness to adapt to ever-changing markets and the mainland's well established manufacturing mechanism. Hsu feels that industries on the two sides will not only work closer together to continue making money on the global market but also play evolving roles in supply chains. Hsu suggests the two sides cooperate on the five areas as follow in the initial stage: co-innovate applications of information-communication technology, set up new industry standards, integrate smart manufacturing systems, eco-manufacturing, and industrial design. Also, he suggests such partnership can take place through industry forums and exchanges on what areas and strategies to be prioritized, understanding the needs of enterprises on the two sides for their smart-manufacturing and value-boosting programs before providing solutions, and introducing cooperation-demonstration projects in the mainland's cities where smart projects are being conducted. The cities include Huai'an, Yancheng, Nantong, Changzhou, and Yangzhou of Anhui Province; Qingdao of Shandong Province; and Dalian of Liaoning Province. By finding the best developmental model in these cities, the two sides can transplant the demonstration projects into other cities. With recent reports of China's “red supply chains” being a phenomenon, Hsu suggests Taiwan's manufacturers should cope with such reality rationally instead of fretting anxiously. “Red supply chain” is a term obviously coined to refer to the rising homegrown integrated manufacturing capacity in the mainland purposefully being promoted, encouraged by Beijing to reduce dependence of the world's No.2 economy on imports or raise self-content ratio. Hsu points out that the so-called “the rise of red supply chains” represents upgrading of the mainland's supply chains and competitiveness, which has been achieved by serving China's huge domestic market as well as being the world's all-round supplier or factory over the past decades. So, he says confronted by the “rise of the red supply chains,” Taiwan's manufacturers should focus on whether they can boost their manufacturing capability to energize Taiwan's industries. He points out that Taiwan and the mainland still can find room for symbiotic cooperation despite becoming more mutually competitive. In response to Hsu's proposal, Vice Economics Minister J.C. Shen points out that it is positive for Taiwan and the mainland to work together on the Industry 4.0 framework. He adds the two sides could decide as early as the end of this year whether the cooperation should be carried out through the official Cross-Strait Economic Cooperation Committee or a meeting regularly held by private sectors from both sides. 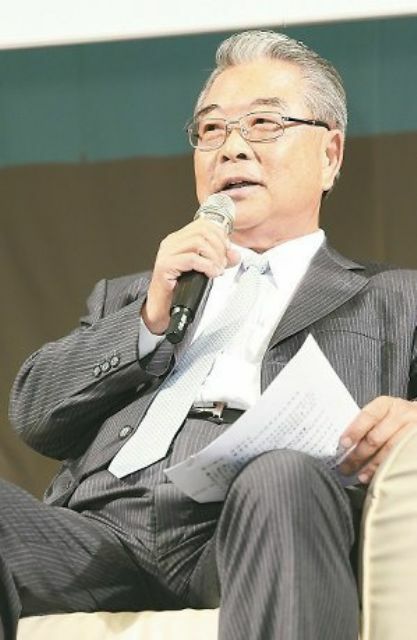 M.J. Wu, Director General of the Industrial Development Bureau (IDB) of the Ministry of Economic Affairs (MOEA), points out that Taiwan's “Productivity 4.0” is a multifunctional program stressing industry automation and initially will target backbone enterprises of seven pivotal industries already equipped with basic IT and automation capability. Mainland China's “Made in China 2025” program, he says, aims to develop several strategic industries for integration with information-communication technology, which is somewhat different from Taiwan's “Productivity 4.0”.